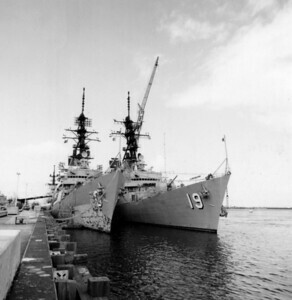 Battleships at the Mayport Naval Station. 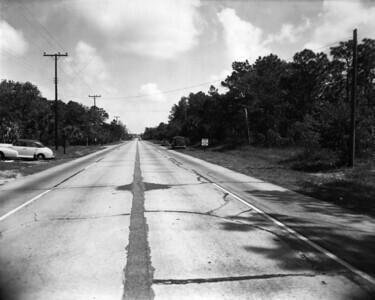 Since its commissioning in December 1942, NS Mayport has grown to become the third largest naval fleet concentration area in the United States behind Norfolk, VA and San Diego, CA. The mission of Naval Station Mayport is to sustain and enhance war-fighter readiness. 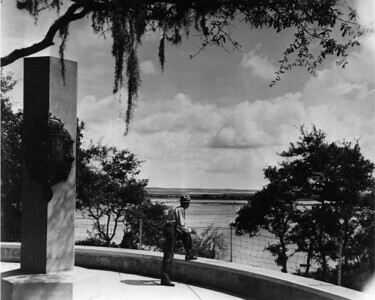 A park ranger viewing the St. Johns River from the Ribault Monument at the Fort Caroline National Memorial in 1959. 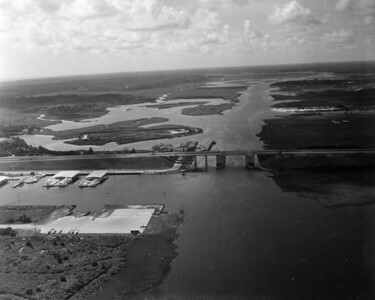 An aerial view of the Atlantic Intracoastal Waterway in 1972. 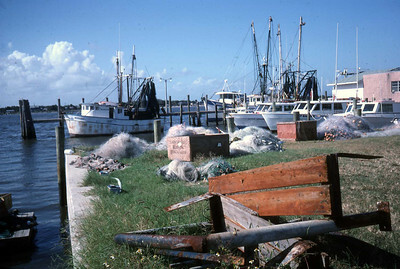 Nets piled by the Mayport docks with docked fishing boats in the background in 1991. 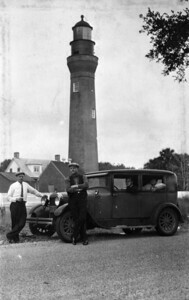 The St. Johns River lighthouse in 1929. 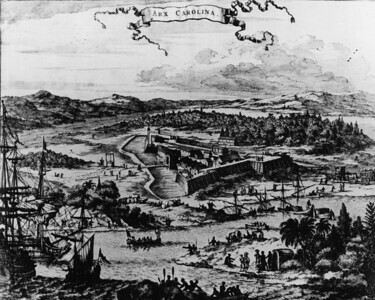 A 1670 lithograph of Fort Caroline. Fort Caroline was the first French colony in the present-day United States. Established on the St. Johns River on June 22, 1564, under the leadership of René Goulaine de Laudonnière, it was intended as a refuge for the Huguenots. It lasted one year before being obliterated by the Spanish. The site is now operated as Fort Caroline National Memorial. 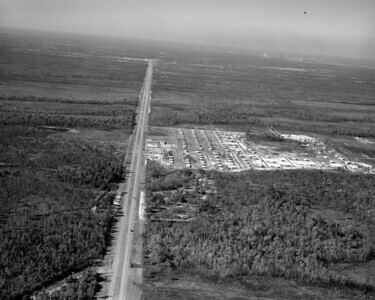 Aerial of Beach Boulevard, looking west toward the intersection with Huffman Boulevard. 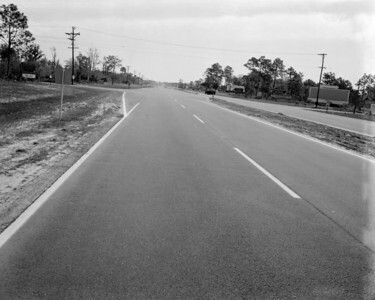 View looking east along Beach Boulevard, past the San Pablo Road intersection, in 1961. 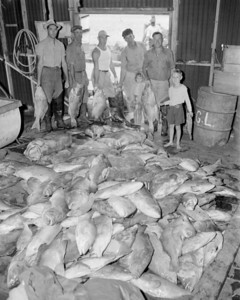 A group portrait of commercial fishermen with their catch.